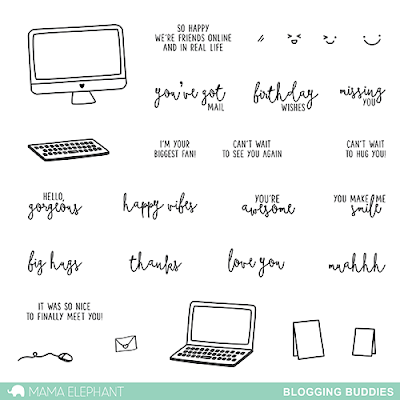 Hey everyone, today we're showing you Blogging Buddies which was designed specifically for you in mind! 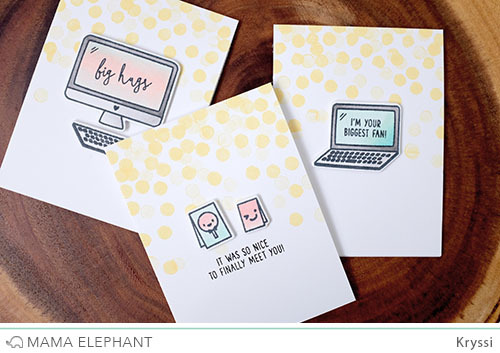 It's a cute little set for quick and easy notes to express your friendship to our virtual and crafty friends! I would love to send these cards to ALL of you! Especially that middle card would be handy today at our NYC party! 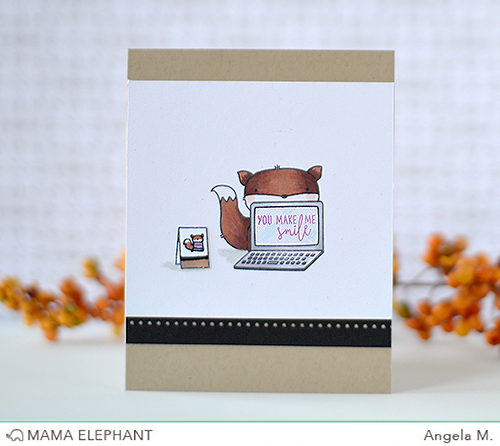 Now how flippin' cute is this card that Angela designed?! She created a card within a card! That's super genius and so funny!!! What would you do with this set? Leave a comment below! ADORABLE!!!!!!! Looking forward to this afternoon! These are perfect! I don't buy many stamps these day but these are certainly tempting - such a good idea! Wow! I need this set jejeje And the others too!! Love this set! Love the design, it's so versatile! Can be used for every occasion and for any design~ girly, kiddo, masculine. LOVE! That is a great set! Love it! How cute is this? LOVE it and oh so perfect!! Ooooh, need! I have made some many awesome friends online! Met a few and this will be perfect for my PL! Thanks! This is a must have!! This set is soooo cute! Absolutely need it! To make snail mail for my e-mail buddies. Everybody loves to get REAL mail. And this set is very cute. What a great idea for someone to finally give us bloggers a stamp set of our dreams. Ok so apart from 2 sentiments, this set would be perfect to make little lunch box notes, you know little business card size cards to pop inside lunch boxes for the kids/teens/husbands/partners. You could make a whole bunch and slip them in from time to time. Great way to use scrap card too. This is a very interesting set! You are such a creative he team! The stamps go well with all your adorable critters! Ok, I want to do that card in a card trick... adorable!! Very cute set...love the card within the card. This is awesome!!! I "need" this to send to my nieces and nephews!